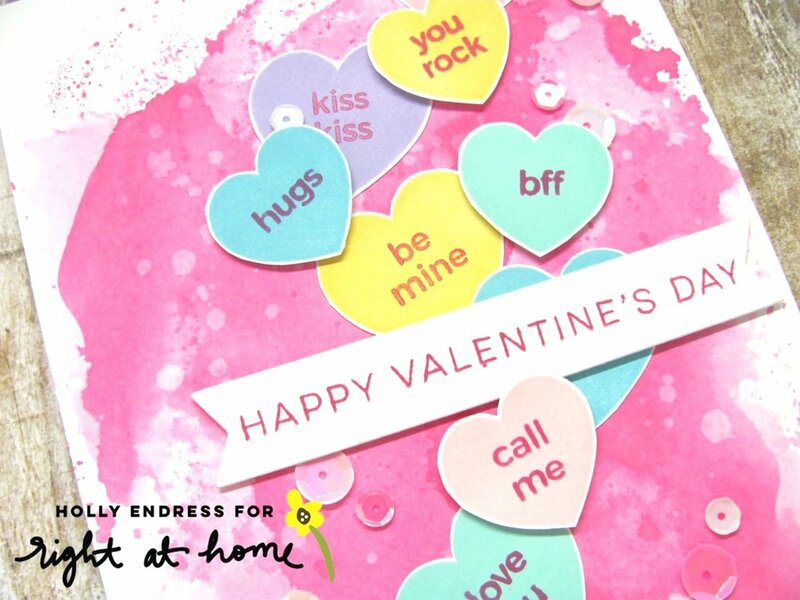 Valentine's Day is just a few short days away which has me scrambling to get all my last minute card projects together. The idea for this card has been sitting back in the nooks and crannies of my brain and I'm so excited I was finally able to translate it to paper. This card features my Folded Sweetheart Die Set (only a few left!!) as well as the other items from my Be Mine release. Instead of using the die to make a stand-alone note, I adhered it to the front of a card to make it even more interactive. See what I mean below! I used the die set to cut all my pieces from cardstocks of varying hues. I wanted to add a pattern to the front of my folded heart so I used the lip stamp from the Be Mine set and a coordinating ink color. I love the tone-on-tone effect! 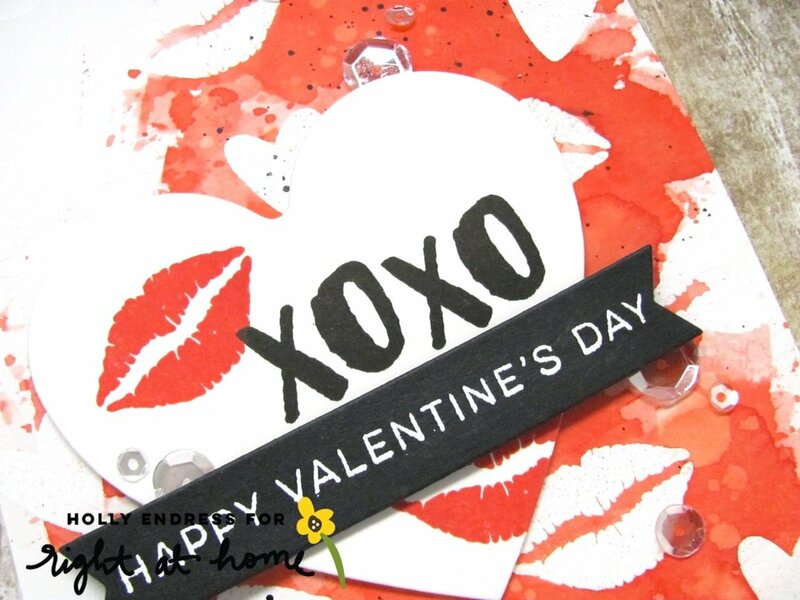 I also created a little white tag from the die set and used the "eye heart you" stamp which fits perfectly onto it. Once I had all the pieces adhered and folded together, I added it to the center of a stitched panel that I stamped with my Watercolor Background Stamp. The bold stripes act as the perfect backdrop for my folded heart and sentiment. I went back and forth with the idea of using the "love you" die from the set along the bottom of my panel. It didn't stand out enough against the red so I cut out another one from pink paper and layered it underneath. Here's a peek at what's inside the folded heart. This sentiment is from the Be Mine set as well, however, any of the ones included on the set fit perfectly inside the white interior heart. Isn't this card just adorbs?! I love the way it turned out. Hopefully I can crank out a few more before Tuesday...wish me luck!